Christmas carol services sung by the Choir of St John’s and St John’s Voices, a performance of Handel’s Messiah, a charity carol concert, and performances by vocal groups Aquila and The Gentlemen of St John’s are just some of the festive musical events taking place at St John’s during the countdown to Christmas. The music starts with the annual Advent Carol Services. The first service takes place in the Chapel at 6pm on Saturday 24 November and consists of lessons, hymns and carols, and reflects the anticipation of Christmas. The service is repeated on Sunday 25 November at 3pm, when it will be recorded by BBC Radio 3 to be broadcast on Advent Sunday, 2 December. Tickets for these services have all been allocated, but members of the public are welcome to queue outside the Chapel for any seats unclaimed by ticket holders. Mixed-voice College choir St John’s Voices will be leading a Christmas Carol Service at 6pm on Monday 26 November, complete with readings, music and carols to celebrate Christmas. Music will include A babe is born (Mathias), and There is no rose (Joubert), and there will be several congregational carols such as Once in royal David’s city, O little town of Bethlehem and other favourites. Everyone is welcome to attend the service, and no tickets are required. On Tuesday 27 November, female a cappella group Aquila will be giving an informal performance in the College Bar where they will be singing some of their close harmony pieces, with a few Christmas numbers thrown in. 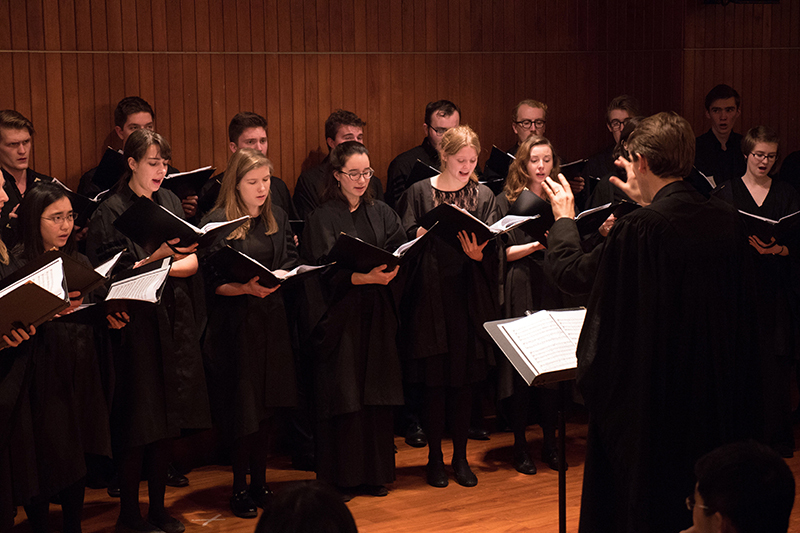 Aquila, directed by Joanna Forbes L’Estrange, consists of St John’s staff and students, and their songs are mainly written and arranged by women. Hear them sing between 6.30 and 7pm. The Gentlemen of St John’s will be at The Maypole pub on Portugal Place on Wednesday 28 November for their annual popular festive performance. Their annual and much-anticipated concert of Christmas carols and festive songs – including the likes of Last Christmas – will start at 9pm; get there early to get a good view. Join St John’s College Music Society at lunchtime on Thursday 29 November for a Christmas Carol Sing-a-long to really get into the festive spirit. Everyone is welcome and no experience is necessary. The event takes place in the New Music Room at 1.10 to 1.50pm. 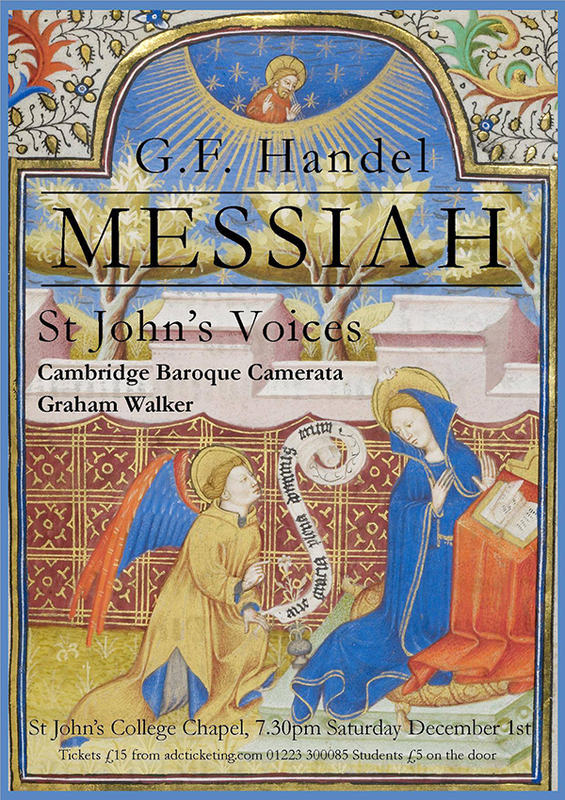 St John’s Voices will be performing Handel’s Messiah on Saturday 1 December along with established period instrument ensemble Cambridge Baroque Camerata, and directed by Graham Walker. Handel’s Messiah, written in 1742, is considered to be the composer’s most influential work, and is traditionally performed by many choirs around Advent; the Hallelujah chorus is one of Handel’s most famous choruses. The event starts at 7.30pm and tickets are £15, or £5 on the door for students, and are available from ADC Ticketing or by calling the ADC Box Office on 01223 300085. The Alzheimer’s Society’s Carols by Candlelight concert, part of a series of concerts taking place across the country to transform the lives of people suffering from dementia, will take place at St John’s College Chapel on Wednesday 5 December at 6.30pm. 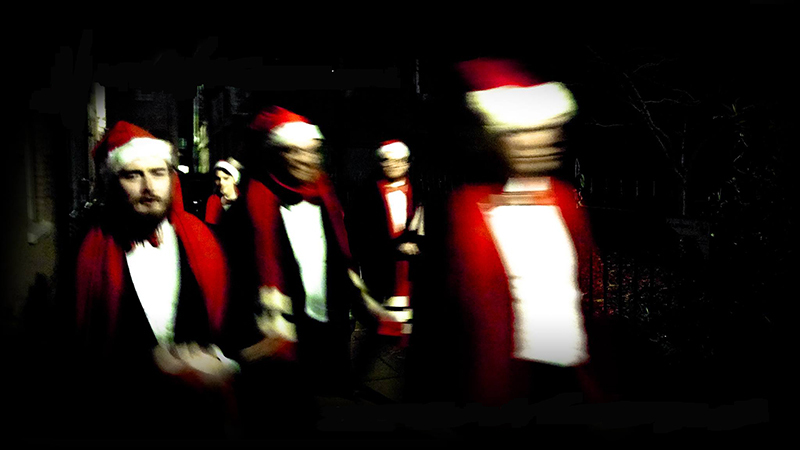 The evening will be filled with carol singing, readings, festive treats and special guests. Tickets are priced at £10 for adults, £5 for children under 12, or £12 for a combined ticket for a person with dementia and their carer; tickets can be booked here. St John’s College Choir will be hosting a Christmas Concert on Friday 14 December at 7pm in the Chapel, conducted by Andrew Nethsingha, and with Glen Dempsey and James Anderson-Besant on the organ. The Choir will be singing seasonal and other favourites, including Vaughan Williams Fantasia on Christmas Carols, accompanied by Laura Van Der Heijden (cello) and Gareth John (baritone). Tickets are £15 for the main Chapel, £7 for the Ante-Chapel, and are available from ADC Ticketing or by calling the ADC Box Office on 01223 300085.